Care for those with complex health needs. Patients on this team meet criteria to receive High Complexity Care (HCC) services. If you would like to be a patient on this team, talk with your provider about whether or not it might be a good fit. 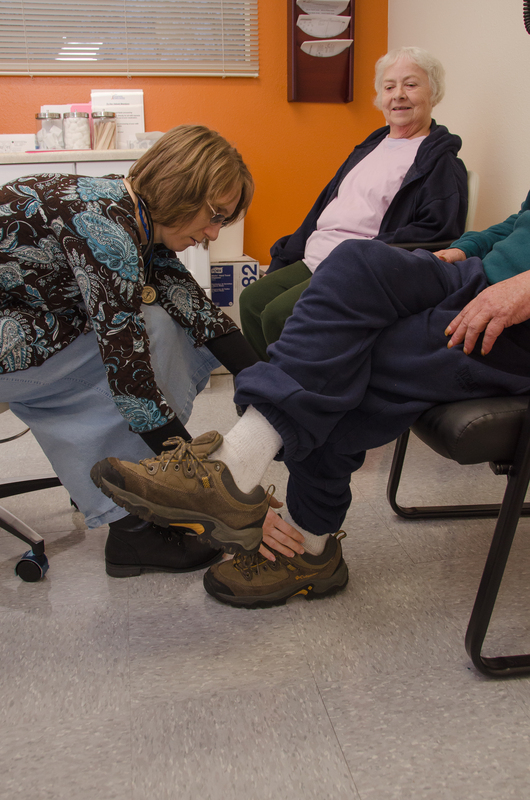 Dr. Micek and her team work patients and family members during their visits.